It all started with the purchase of a simple fringe bandeau bikini top and moved on to a killer pair of stilettos with the best fringe detailing. Now, my wish list contains more than five items that have some sort of fringe detail. Maybe I just didn't get over the music festival craze or it's just that designers are doing the fringe thing justice but I'm all of a sudden craving more fringe in my life. A flirty cover-up with a fringed skirt and a western-inspired handbag are next on the list and I don't think my obsession will stop there. How do you feel about fringe? Love that last one...very bohemian chic. So fun! Love the first and last one! i cant say im into fringe yet...but i dont mind it on heels. 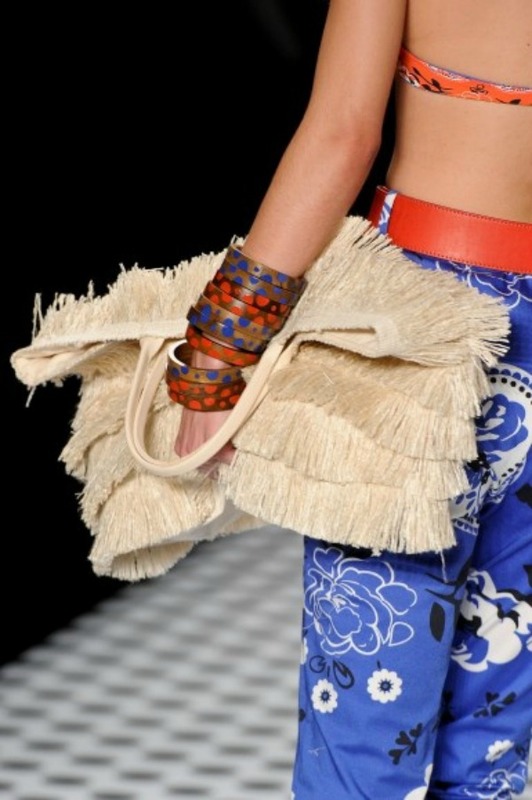 So glad fringe is back in - it's time to break out my trusty fringed Botkier bag that's been hibernating the past year! I fell in love with fringe bikinis...now I want fringe everything! Next on my list are fringe sandals.